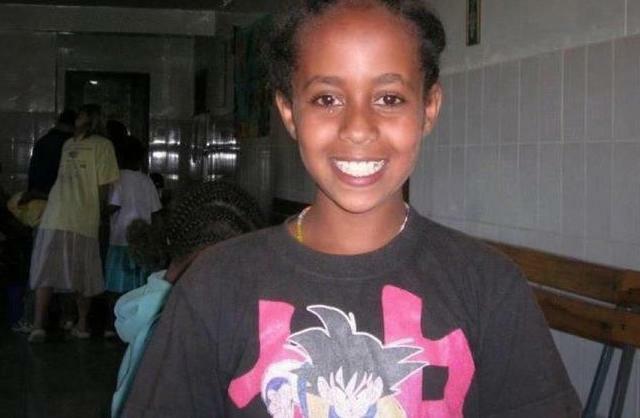 Hana Alemu (Hana Williams) died in May 2011 of hypothermia, hastened by malnutrition and a stomach condition, after hours spent in the rain in her adopted family’s backyard in Sedro-Woolley, Washington. MOUNT VERNON — The boy Larry and Carri Williams adopted from Ethiopia in 2008 told a court Thursday morning that life in their home consisted of nights sleeping in a bathtub or shower room and days spent eating wet sandwiches and frozen food, sometimes on the floor. The Williamses’ adopted daughter received similar treatment, the boy said. Hana Williams died in May 2011 of hypothermia, hastened by malnutrition and a stomach condition, after hours spent in the rain in the family’s backyard in Sedro-Woolley. Larry and Carri Williams are charged with homicide by abuse and first-degree manslaughter in Hana’s death, and with first-degree assault in connection with alleged abuse of their adopted son. Each has pleaded not guilty. The boy, now about 12 years old, told prosecutors his new parents and their biological son sprayed him with cold water from a hose or in the shower whenever he wet his pants or bed. The Williamses also sprayed Hana, the boy said, but he didn’t know why. The biological Williams children were never sprayed with a hose and never made to eat on the floor, but some of them doled out these punishments to their adopted younger siblings, the boy said. Read more at The Skagit Valley Herald. Larry and Carri Williams are accused of abusing to death their adopted Ethiopian daughter Hana Alemu (Hana Williams) and charged with first-degree assault in connection with alleged abuse of her brother. Mount Vernon, Washington – During the third day of witness testimony yesterday in the trial of Larry and Carri Williams, a mental health therapist from Seattle Children’s Hospital testified that Hana’s 12-year-old brother suffers from post-traumatic stress disorder because of the abuse he endured under the hands of his adoptive parents. The mental health expert, Dr. Julia Petersen, said that the boy, who was also adopted from Ethiopia, started meeting with her last winter, when he had been in foster care for more than a year, local media reported. The couple have pleaded not guilty. Dr Petersen pointed out that the brother’s upbringing in Ethiopia or his stay at foster care in the U.S. do not appear to be the reason for the post-traumatic stress disorder. “Losing his parents caused the boy sadness and grief, but not the same kind of anxiety brought on by what he said happened in the Williams home,” Petersen said. According to the newspaper records from Seattle Children’s Hospital indicate the Williams family brought their adopted son to the clinic in 2008, but did not return for the recommended follow-up visits.